The Honda CRF450R is all-new for 2017. Honda engineers worked on producing more power and redesigning the chassis for better flex characteristics. 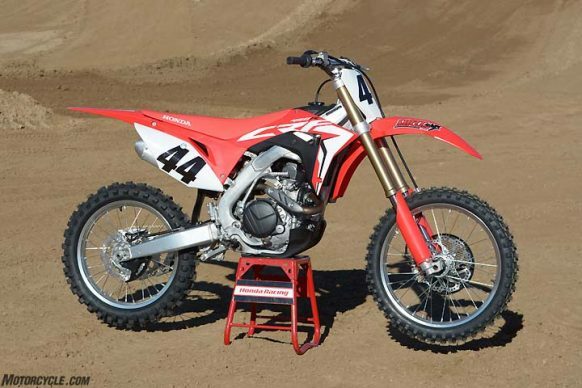 The CRF also does away with its air fork in favor of a coil-spring fork.